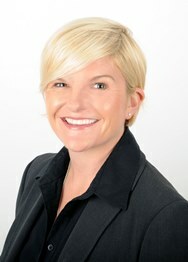 Clare is an experienced employment lawyer with significant in-house experience in business, including retail. Clare understands that her clients do not simply want to be presented with a series of options. Instead, Clare provides clients with pragmatic and commercial solutions to complex employment issues in order to meet their needs. Clare started her career as a specialist employment lawyer in a large regional firm of solicitors in Milton Keynes before working in-house for several years with medium and large organisations. Until 2018 she was Head of Employment at GAME Digital Plc, the UK’s leading gaming retailer, accountable for GAME’s employee relations function and responsible for managing the employment tribunal caseload, which included appearing in court on the company’s behalf. Clare also worked in–house at Comet and BT. In addition to giving employment law advice in relation to employees and workers, Clare is experienced in advising company boards on employment strategy and risk management in TUPE transfers, restructures and wide-scale changes to terms and conditions. Clare is also expert in drafting and updating employment contracts and policies, advising in relation to complex disciplinary, grievance, discrimination and whistleblowing matters and implementing performance management programmes. Clare is qualified in the NEBOSH General Certificate in Occupational Health and Safety and can advise businesses on both legal requirements and practical aspects of health and safety in the workplace. Prior to training as a solicitor Clare enjoyed a successful ten year career in the pharmaceutical and biotechnology industry in sales, marketing and account management roles. This gave Clare a solid grounding in business and has ensured that the advice she gives is always relevant to and consistent with the commercial aims of the client. “Clare has worked with us on a number of legal matters that have been resolved to our complete satisfaction as a result of the sensible guidance provided and we look forward to working with Clare in the future on any issues that require legal advice.” Mark Wilson, Director, CW Plant Hire.